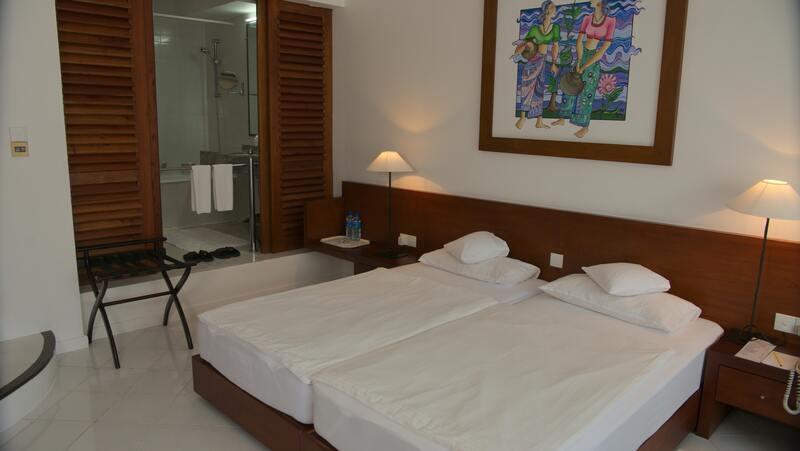 Spacious double rooms, friendly and comfortable. On request mosquito net. Bathroom with bathtub / shower, cosmetic mirror, hairdryer, separate toilet, bathrobe, slippers. These rooms are located above or next to the terrace of the restaurant on the ground floor or on the 1st floor and have a terrace or a balcony overlooking the pool and garden. Seating. Occupancy 1 or 2 adults, in the period from November to March only occupancy for 2 persons possible. All ECONOMY rooms have tiled floor, the elevated entrance and The area of the bathroom is separate from the living / sleeping area optically over two steps.